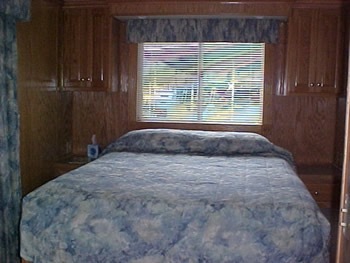 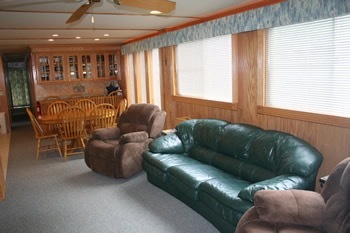 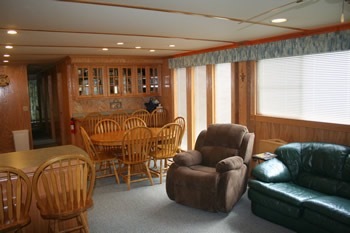 This Southern Star houseboat contains lots of extra living area, six queen size bedrooms and two baths with hot showers. 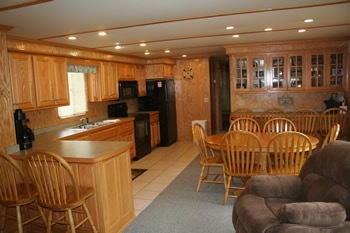 The upscale features of the houseboat make it one of the luxury liners of Dale Hollow Lake! 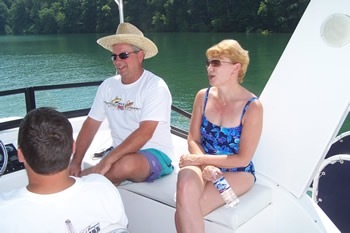 From a covered flybridge to a curlie slide… enjoy it all!! 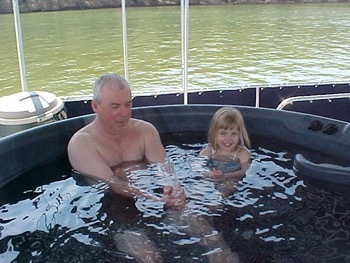 Don’t forget that our Hot Tub is included at NO extra charge. 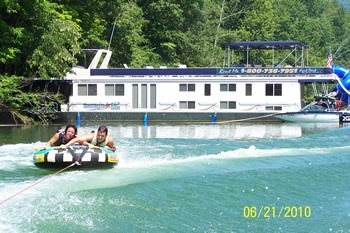 Southern Star delivers maximum fun and relaxation for up to twelve of your friends or family! 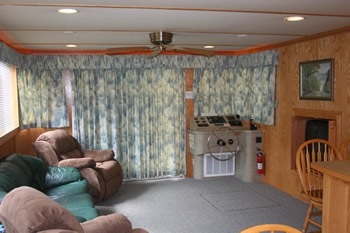 Central heat & air, TV, DVD, Radio/CD, Marine Radio, Microwave, Clothes Dryer, Electric Refrigerator, Gas Grill, and Electric Stove.